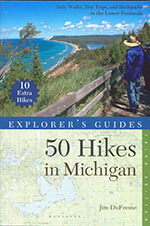 A sample of one of the 60 maps from 50 Hikes in Michigan. 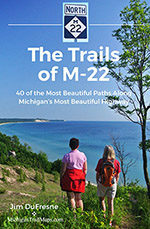 This completely revised and expanded edition features hikes ranging from 1.5 to 23 miles in length and is the first full-color guidebook, including more than 100 photos, to the hiking opportunities in the Great Lakes State. 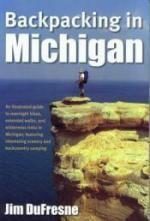 The 60 highly detailed maps were produced by MichiganTrailMaps.com and larger and more detailed versions of each one is available for downloading. 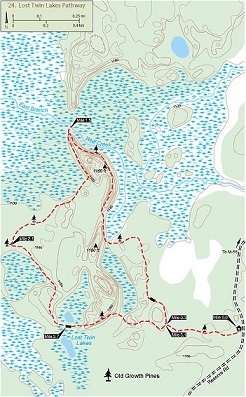 Trail coverage includes detailed write-ups, distance, level of difficulty, and hiking time; camping and fishing opportunities that are available; whether or not a hike is suitable for kids. 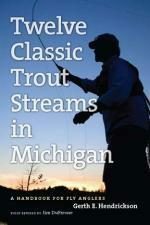 Hikers will learn where to find the best trailside fishing, birding, and wildlife watching, as well as where to go for fall colors and undisturbed backcountry camping. 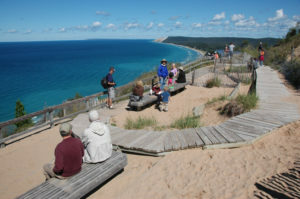 Each hike description includes directions to the trailhead, GPS coordinates and a description of natural and historic features that will be seen during an afternoon on the trail.